How good is an endowment policy? Endowment policies are insurance policies that offer the dual benefits of insurance cover and investment in a single product. Endowment policies are insurance policies that offer the dual benefits of insurance cover and investment in a single product. 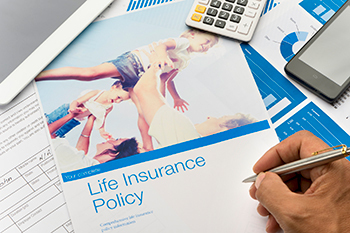 Endowment policies provide the insured person with life insurance cover during the tenure of the policy, so in the event of the death of the insured, the insurance company pays the sum assured to the family members (nominees) of the insured. However, if the policyholder survives the tenure of the policy, the insurance company pay him/her a lump sum maturity amount of the policy. An endowment policy helps the insured person to save a specific amount (as premium) during the policy term, hence one can consider it as an investment that can come in handy for retirement planning (if the policyholder survives till the date of maturity), children’s education and/or marriage or buying a house. If the policyholder expires during the tenure of the policy, the amount of sum assured received from the insurance company will help the family of the deceased meet its financial needs. Endowment policies come in two types, with profit and without profit, which are further sub-divided into categories such as whole life cover, pension, children’s education, etc. The choice of policy will depend on the individual’s income and needs, current stage of life and risk appetite. That apart, it is advisable to check the premium rates of policies and the rate of bonus declared every year by various insurance companies before deciding on which policy to go for.